People who live in Honduras will give you many good reasons to move to this country. The climate is perfect, the beaches are beautiful, and the cost of living is low. Real estate prices are low, health care is inexpensive, and the entire process of moving to Honduras is not too complicated. The natural beauty of the country and low costs of living make this country a popular destination for Americans. There are three types of residency: for people with foreign income, for retirees and for those who want to start their own business in Honduras. You need to visit the embassy of Honduras in your own country and find out what you need to do to apply for a visa. Foreigners who live on a foreign income do not pay any taxes, regardless of the amount. The income earned in the country is taxes, and the rates go from 5% to 20 % of the income. Cashing personal checks is almost impossible, and money transfers can be very difficult. However, there are USD bank accounts, where a person can deposit money and cash his/her checks. Property laws allow foreigners to own 3/4 of an acre. However, many foreigners choose to establish a corporation in Honduras, because this is a legal way to own more. Where Do Americans Live in Honduras? Most Americans live in Tegucigalpa. For expats who come to Tegucigalpa with children, there are several good American-style schools in the city. One of the most popular schools in Tegucigalpa is the International School. The north coast of Honduras is another popular destination for Americans. The area has the highest number of bi-lingual schools, and it is also the industrial center of Honduras. 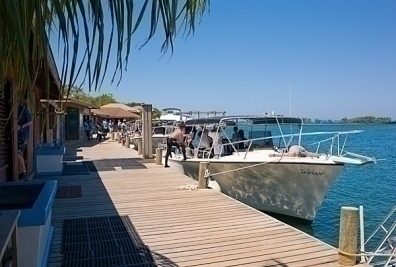 The Bay Islands are a popular tourist destination, and a great place for expats who want to work in the tourism sector. The cost of living in the islands is much higher than in the rest of the country. To meet Americans living in Honduras, visit Internations and Expat Blog.